Setting individual prices to any of the products in your online store overrides the prices that are set for discount groups. Any discount that is set for a specific discount group will not be applied if an individual price is set for a particular product. Step1. Launch the app and click Discount Groups. Step3. Choose the product(s) on the list that you want to set individual prices. Enter the price in the field provided. 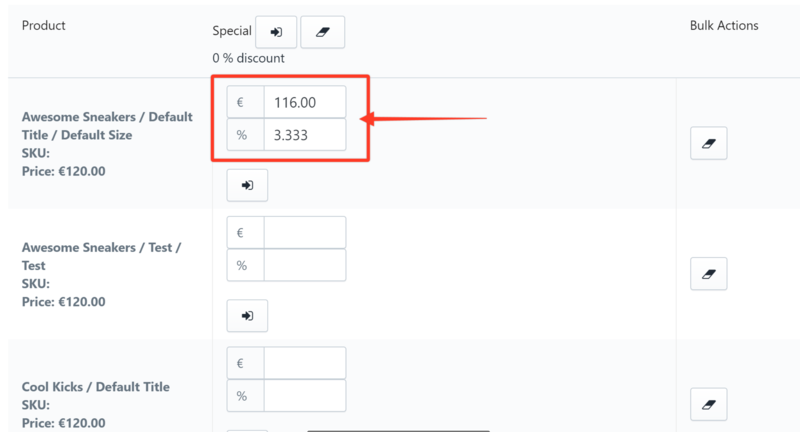 Note: After entering the fixed price in the field provided, a percentage discount is automatically generated and appears in the % field based on the price that you have entered. You now have set individual prices on your online store. If you need help click Contact Us below.